Ending the minimum import price on Chinese solar panels will create an additional 40,000 jobs in Europe – on top of the existing 80,000 jobs currently sustained by the solar PV sector, said Christian Westermeier, president of SolarPower Europe, a trade association. “After five years of trade barriers, the EU has to live up to its promise to let these measures expire after 2018” and reject any request to review them, Westermeier told participants at a EURACTIV event on Thursday (24 May). “It is a jobs bananza,” he said, underlining that SolarPower Europe represents 250 solar companies as well as over 100,000 installers of solar panels which together employ 1.2 million people in Europe. 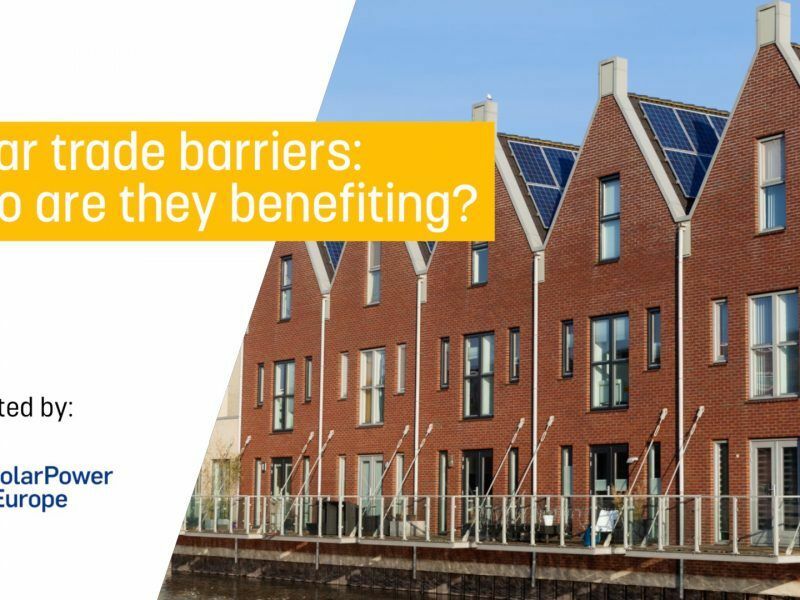 Westermeier cited a study by the European Commission’s own directorate for justice and consumers, which found that lifting the anti-dumping measures would boost household solar by up to 30% in some EU countries – “just for rooftop”. “This is a huge job machine,” he insisted, quoting the 40,000 job figure from a study performed by EY on behalf of his association. “And this is predominantly important for countries in Southern Europe where there is a lot of sunshine and a lot of youth unemployment,” he said. 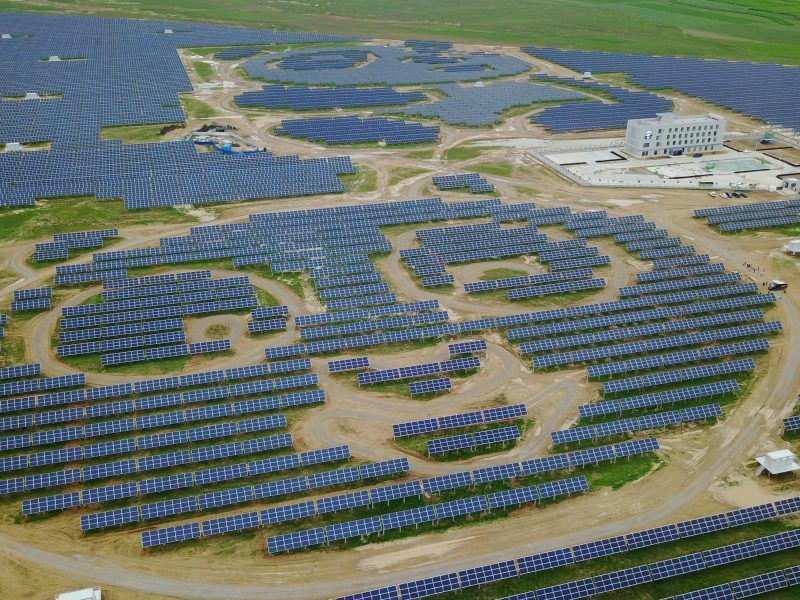 Europe’s solar industry has condemned an EU vote to impose another round of duties on Chinese imports, just weeks before a US trade panel is due to rule on similar tariffs. EURACTIV’s partner The Guardian reports. 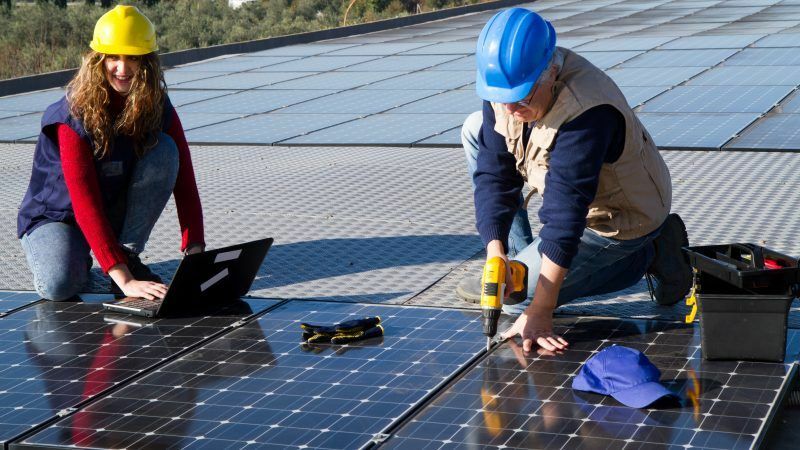 Solar power growth in Europe has been “dismal” over the past three years partly because of the duties, said Stephan Singer, a green activist at Climate Action Network International who spoke at the EURACTIV event. “Global NGOs are very much in favour of 100% renewables and moving away from fossil fuels,” Singer said, adding that removing barriers to solar panel imports was “absolutely necessary” from a climate change perspective. BayWa r.e. renewable energy GmbH, a German firm, started building its first subsidy-free solar power plant near Seville in Spain this year, for about €30 per megawatt hour. “Here, marginally, it was possible despite the tariffs” because of relatively high wholesale prices, said Jochen Hauf, head of business development at BayWa r.e. 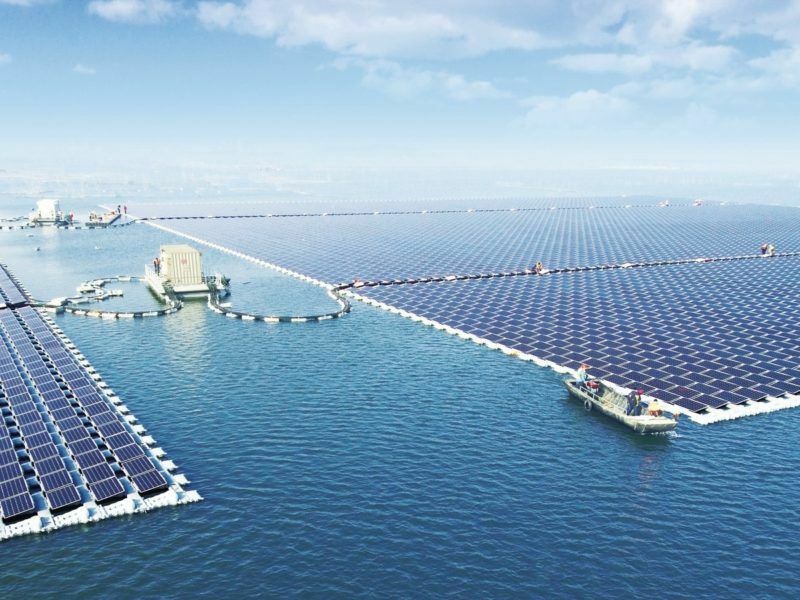 But “the potential is much bigger,” he told participants at the event, saying the EU duties currently prevent subsidy-free solar power plants being constructed in places like France, Italy, Greece and even Germany, where the wholesale price is lower. “Here, the differential between the Minimum Import Price and the surcharge prevents such subsidy-free power to be produced,” he pointed out. The Commission announced last year that the EU would progressively reduce the minimum price at which Chinese solar panels are allowed in Europe until the duties expire on 3 September 2018. 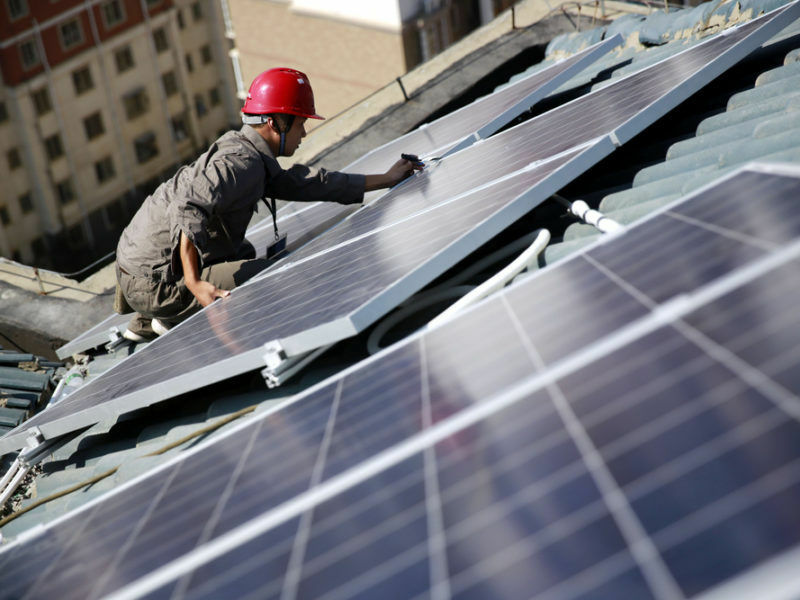 EU member states had previously cleared an 18-month extension of import duties on Chinese solar panels in February. The EU-China solar trade case represents the largest ever trade dispute between the two parties and has added over €10 billion to the cost of solar in Europe since the inception of the measures in 2012, SolarPower Europe said. The initial complaint was filed by EU ProSun, a coalition of European solar panel manufacturers led by German photovoltaic cell maker Solarworld, which accused China of selling solar panels at artificially low prices in order to kill competitors in rival markets. Solarworld filed for bankruptcy for the second time on 28 March and it is not clear yet whether EU ProSun will file a request to prolong the anti-dumping duties. 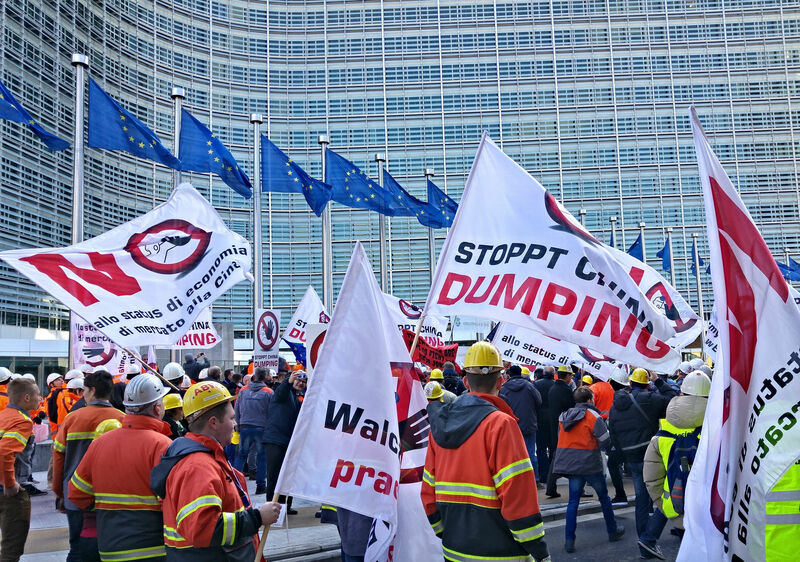 A majority of EU countries yesterday (26 January) opposed a European Commission plan to extend anti-dumping duties on Chinese solar panels for two years, according to EU diplomats, putting pressure on the EU executive to review its proposal. If no request is filed before the 4 June deadline, the duties will automatically expire, said Frank Hoffmeister, head of unit at the European Commission’s trade department (DG Trade) who spoke at the EURACTIV event, supported by SolarPower Europe. But in case a request is filed, “the Commission would need to see whether there are prima facie elements that would justify opening an investigation about the question of prolonging or not” the anti-dumping measures, he explained. The measures will then “remain in force for as long as we look at it,” he told participants. “But it is not like we would need to make a decision in September,” he added, saying such a decision would be taken “only at the very end” of the Commission investigation, based on the elements in the file. EU ProSun did not return calls or e-mails but lawyers who attended the event told EURACTIV they expected the association to file a request before the 4 June deadline. In its assessment, the Commission would look into the job creation or destruction potential of terminating the anti-dumping duties, Hoffmeister further explained. However, he questioned the job figures cited by the solar industry, saying most projections assumed an anti-dumping tariff of 46%, which is “simply not true”. What is in place is a decreasing minimum import price, he stressed. That said, Hoffmeister accepted “the basic assumption” in the EY study that solar industry jobs represent an untapped growth potential for Europe, although how many was “entirely unclear”. The official also pointed to the unusually short period – 18 months – for which the anti-dumping measures were prolonged. Such decisions are typically adopted for a duration of five years, he reminded the participants at the EURACTIV event, suggesting EU member states were now less convinced of the value of keeping the duties in place. The solar PV industry has indeed come a long way since the EU first slapped anti-dumping duties on Chinese solar panels in 2012. European manufacturers have left the mass-scale production to China and now tend to specialise in higher value-added products, said Westermeier, the President of SolarPower Europe. The Commission acknowledged that in its latest interim review of the anti-dumping measures, by making a distinction between multi and monocrystalline solar panels, Hoffmeister said. The EU executive conducted the review “with a clear idea in mind that, if you specialise in high-quality, you get a higher Minimum Import Price. And that means your protection is a bit more solid,” the official explained. “Some companies have understood that signal and are moving towards that,” Hoffmeister continued, saying “I would concur with the overall analysis that there is a future in the high-quality sector” solar PV manufacturing in Europe. In fact, the high-end manufacturing is where the anti-dumping measures are “definitely needed because otherwise our whole R&D falls flat,” the official said. Is there a clash of interests between SolarPower Europe and EU Prosun? Is there also an acceptance that you cannot compete with China? China has learned the technology, improve on it and done better. Is this sector considered a strategic sector? Is it not always that economic operators see their sector strategic for their county or the EU. They see profit and the survival of their companies as primary. Politicians have to look at the larger picture of strategic industries especially in this era of Chinese buy ups. Chinese are long term thinking, European short-term. Europe helped China to be where it is by willingness to transfer technology in the obsession since the 1970s of the Chinese market and bowing to the Chinese demands hence. No need to make noise of the rise of Chinese industry and posing now as challengers.